And that’s not all – we’ve got three fabulous runner-up prizes too!! 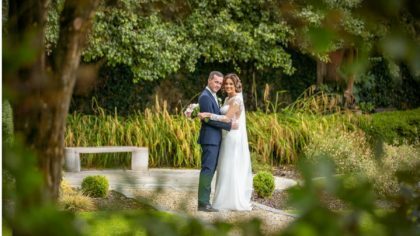 We’ve teamed up with the stylish Clanard Court Hotel to launch their BIG €5,000 All-Inclusive Wedding Sale for weddings taking place from January to March 2018 AND 2019! 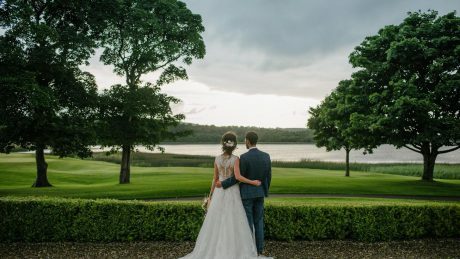 For a limited number of weddings only, Kildare’s consistently top-ranking TripAdvisor hotel and Top Rated Wedding Venue is offering an amazing all-inclusive €5,000 wedding package for up to 100 people. The package includes; your DJ, wedding cake, bridal party flowers & make up, civil ceremony room AND a bar extension. 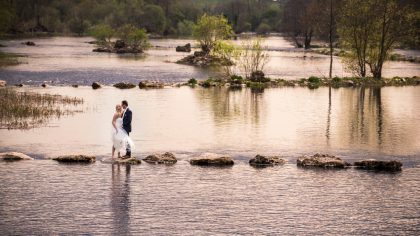 All based on the hotel’s hugely popular INSPIRE wedding package. Phew – did you get all those amazing details?! What fantastic prizes these would be for four newly-engaged couples. If you’re not in, you can’t win! 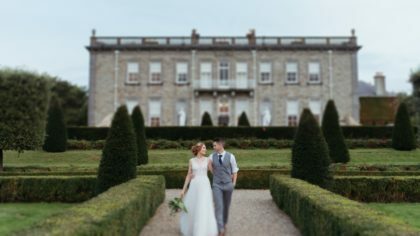 So get your entry in fast, because we know lots of couples in the Leinster region are going to want to nab this seriously impressive wedding offer! 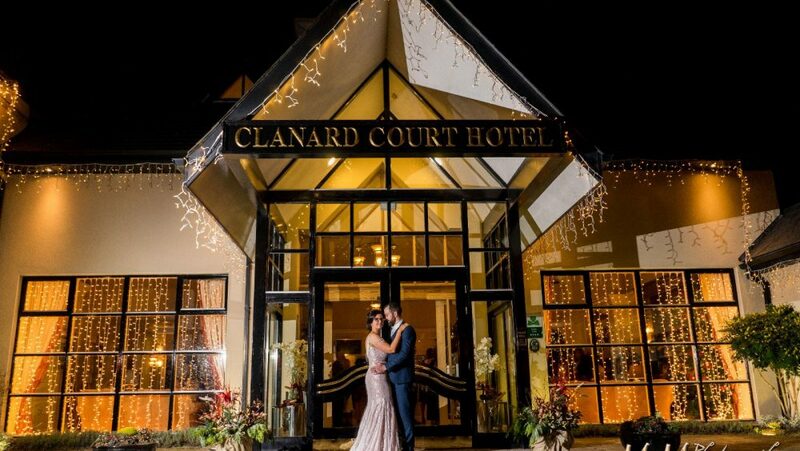 Clanard Court Hotel is an award-winning and proud family-run four star wedding venue in the heart of Kildare. 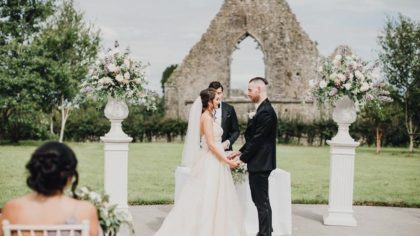 Specializing in tailor-made weddings and providing only the very best for your dream day, the hotel is conveniently located only one hour from Dublin, 45 minutes from Kilkenny and 30 minutes from Naas, Newbridge, Carlow & Portlaoise! 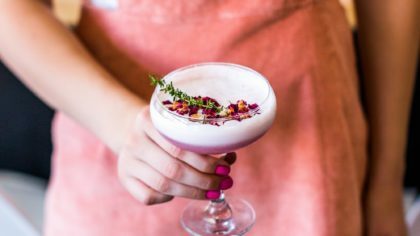 Renowned for their dedicated Wedding Team and glowing reviews; attention to detail, superb food, stunning décor and excellent service will be of the utmost importance on the most important day of your lives. 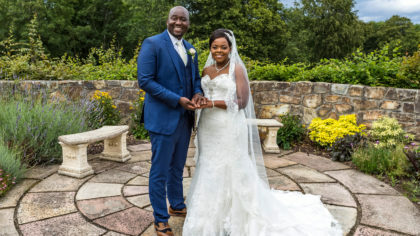 As a family-run hotel, the team pride themselves on offering each couple personalised attention to ensure every aspect of their wedding celebration captures the essence of their union. The romance of the crystal-chandeliered Garden Ballroom will have your guests truly lost for words. Opening on to a beautiful Garden Terrace, floor to ceiling windows flood the space with natural light, allowing you to enjoy spectacular views of the idyllic private gardens beyond. 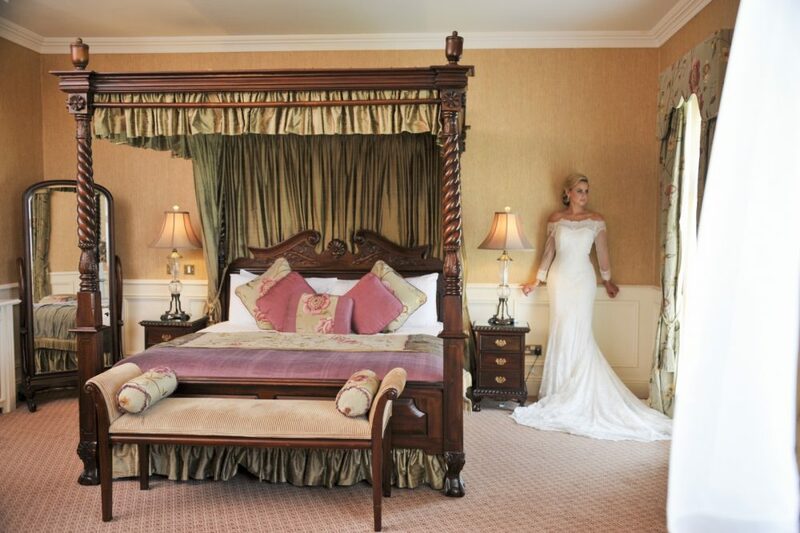 At the end of your day, the hotel’s Bridal Suite will be the perfect sanctuary for you to retreat to after the celebrations. 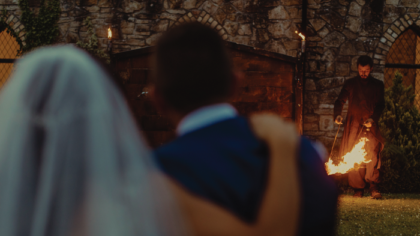 Elegantly appointed with a four poster bed and open fireplace, you will be able to peacefully enjoy your first hours of married life together. In the morning, you will awake to a luxurious champagne breakfast. 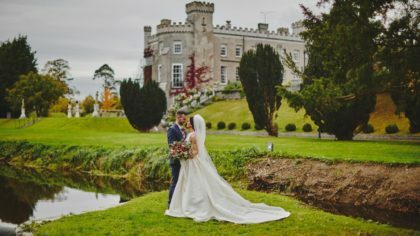 The perfect happily ever after to your perfect wedding day at Clanard Court Hotel. Would you like to WIN this fantastic prize? Closing date for entries is the 13th of July 2017. All you have to do is simply send an enquiry for your dream wedding date to the Clanard Court Hotel on the form below. 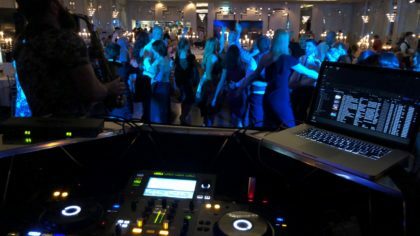 DJ set provided by the hotel’s preferred supplier for the full night, including the bar extension time. 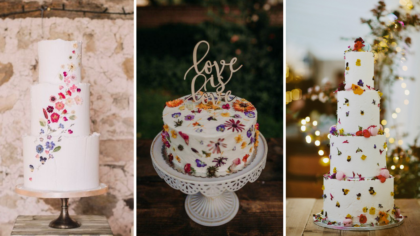 Wedding cake is based on a classic three tier design by the hotel’s preferred wedding cake supplier up to a value of €200. 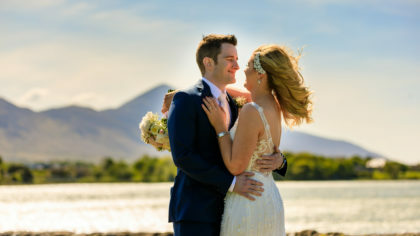 An extra cost will apply if the couple wishes to choose an upgraded design. 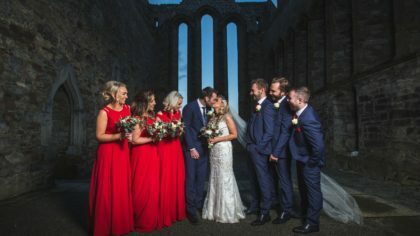 Bridal party flowers are based on a classic bridal bouquet and one bridesmaid bouquet (two bouquets included in total) PLUS buttonholes for the groom and best man in addition to four parents/family members, up to a value of €200 from the hotel’s preferred florist. Bridal make up for three people (including the bride) by Clanard Court’s Revive Treatment Rooms. Make up trials are not included.